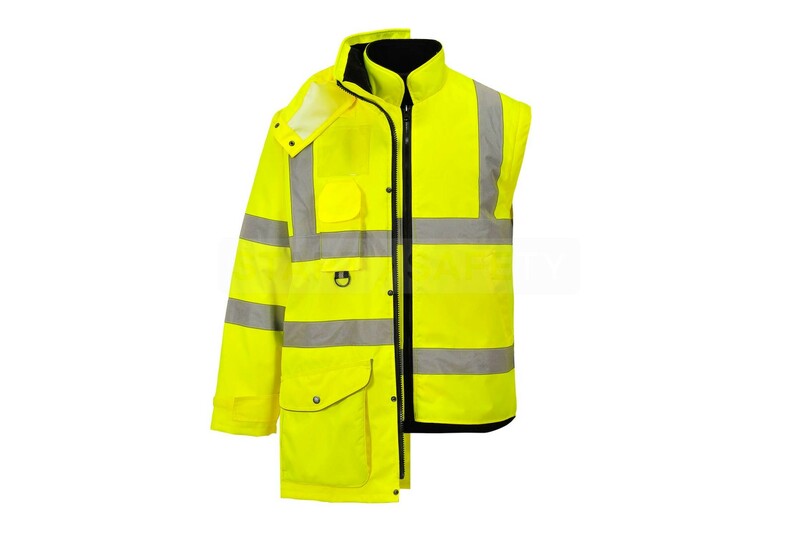 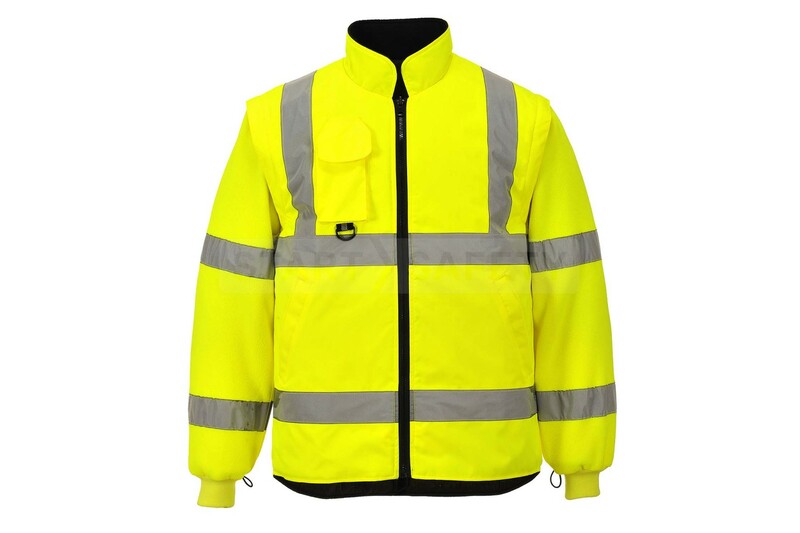 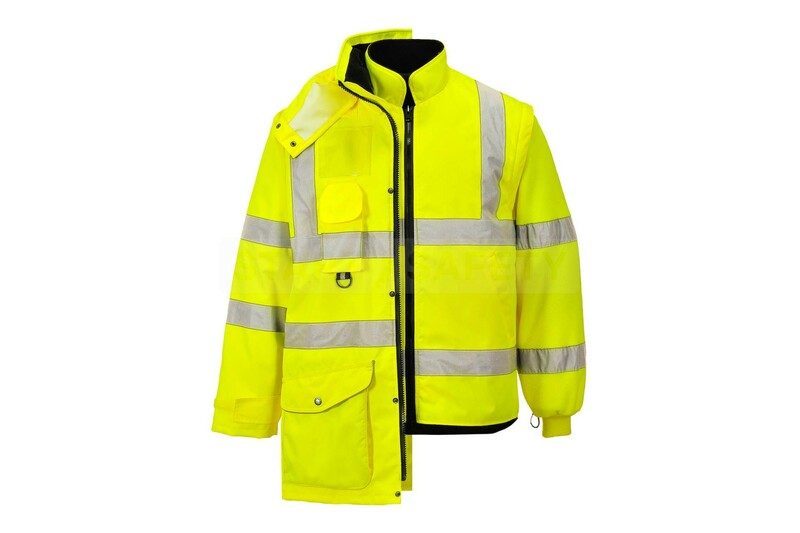 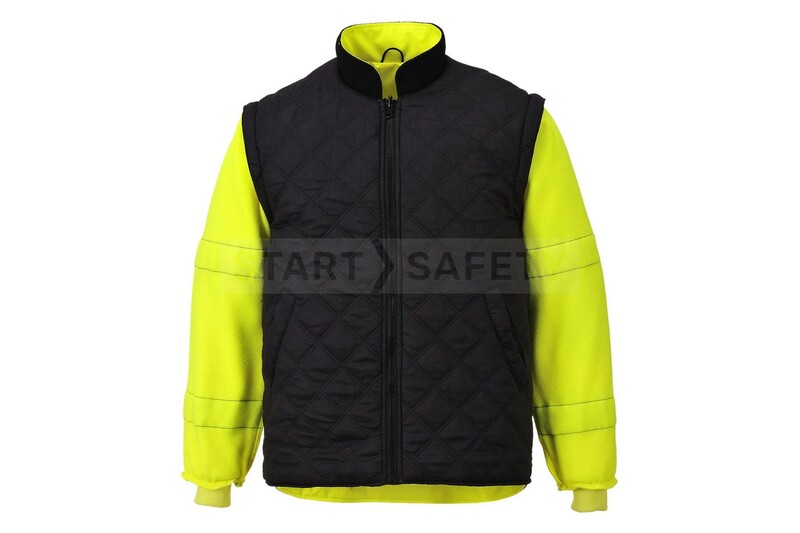 This hi-vis traffic jacket is made from 300 Denier 100% polyester yarn, making it a very tough fabric that can withstand tough conditions. 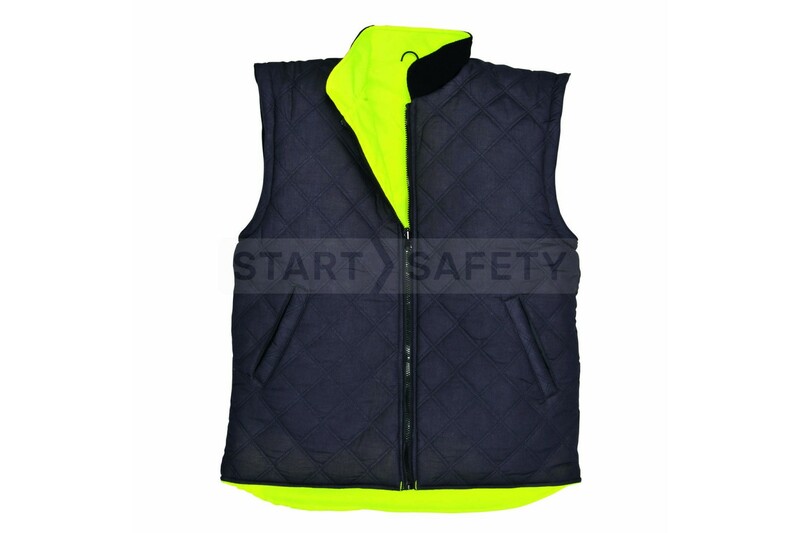 It is stain and abrasion resistant making it ideal for the working environment. 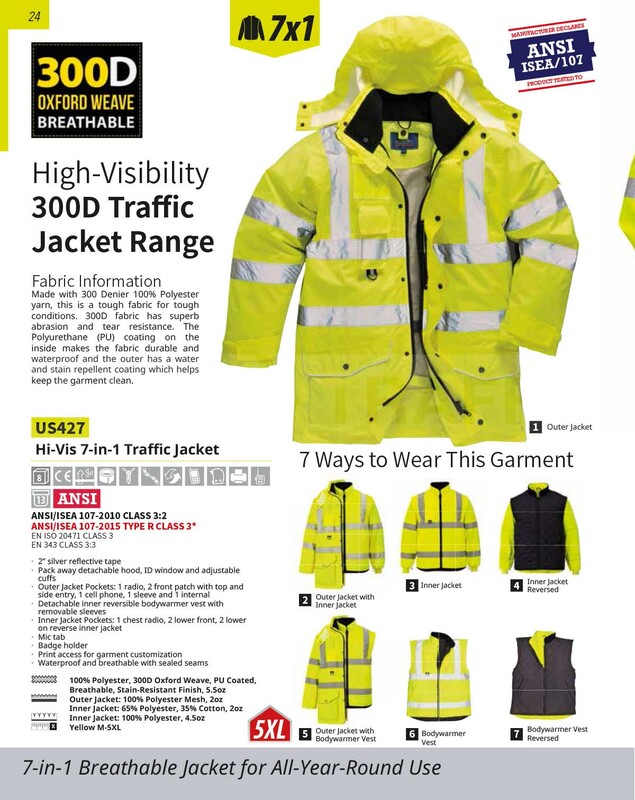 The ability to wear this jacket in several configurations means it is ideal for all seasons and almost all climates, offering safety and comfort for wearer. 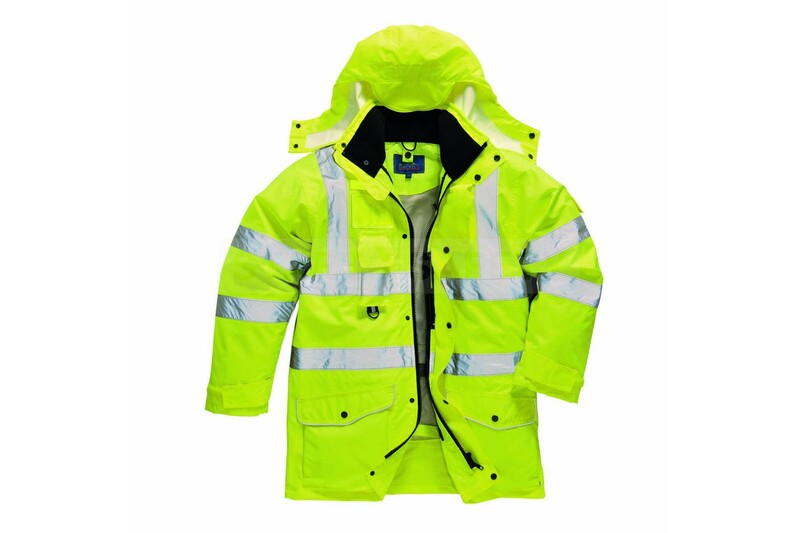 It is waterproof, sealed seams and breathable fabric. An enclosed ID badge window ensures that you know who is who, we are also able to offer custom branding on these jackets (minimum quantity applies), putting your logo onto the jacket so you can see where your contractors are working on site.